Texas is more than rodeo grounds and wide open grassland. And it's not just sprawling urban centres blooming from arid desert landscapes. With 561 kilometres of shoreline Texas is golden sand beaches too. Surprised? 'Beach' may not be top of mind when Canadians think Texas, but it should be. After all, it is a Gulf state. Ready to break for the beach? Galveston is the seaside gem at the epicentre of Texas' glimmering coast. Yes - this is the same Galveston immortalized in song. Its reputation is well deserved and we love it for so many reasons. From handsome Victorian architecture to the charm of the downtown historic district. Perched on a barrier island the city enjoys unobstructed Gulf views, making it an incredible location for a romantic getaway. Visitors seeking luxe comforts will want for nothing in Galveston. Come for the beach but stay for the gourmet dining, boutique shopping and unique VIP experiences. 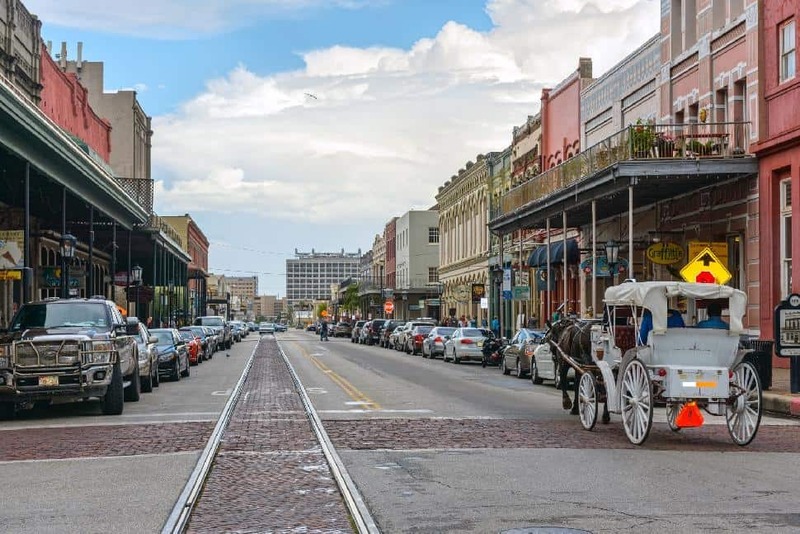 Visitors will find no other place in Texas quite like historic downtown Galveston. It offers a host of niche boutiques along the district's iconic throughfares. Peruse the shops along Postoffice Street or The Strand. Between shopping the racks, pop into vibrant coastal-themed galleries and caffeinate at quirky cafes. Unique to Galveston, the downtown district is also a hotbed for antique shopping. These vintage retailers are living proof that port cities are the best spots for antiquing. 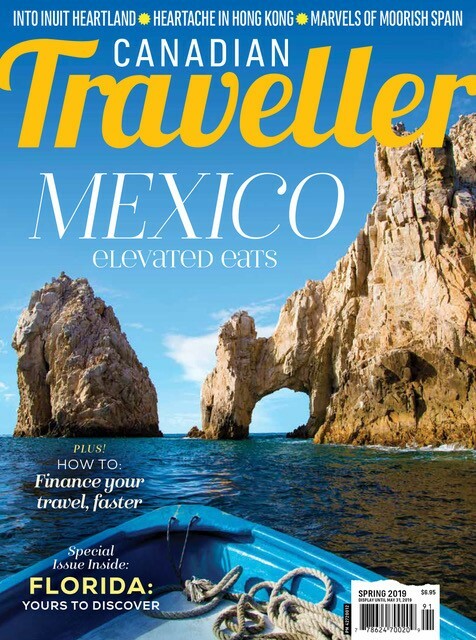 Pick over items from Mexico, the Caribbean and South American which have all found their way to this Gulf Coast hub. 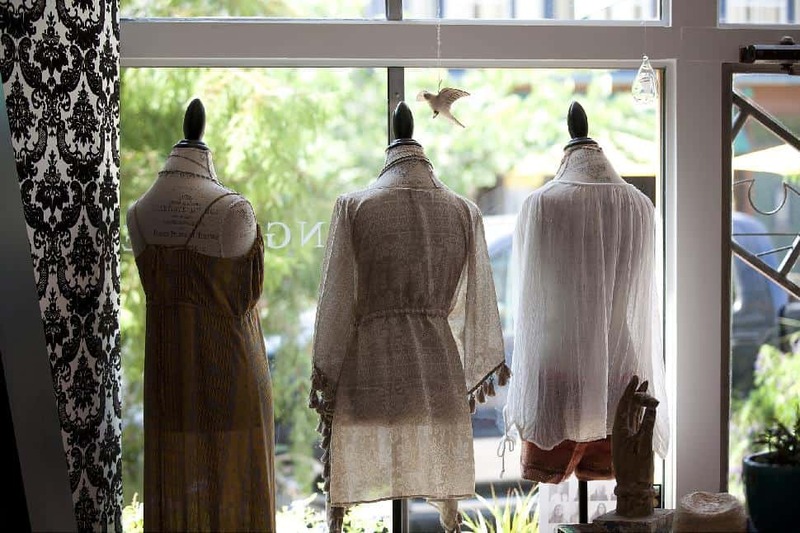 If you're looking for the haute couture try small boutiques Nefertiti and Tangerine. They supply the hottest fashion from designers around the world. With a seaside postal code, shoppers will no doubt notice the latest in beach fashion. Inspired design is no doubt sketched with toes in the sand. Galveston is your destination for swimsuits, kaftans, sunglasses and wide brim hats. In between shopping, make a point to take in the ironwork of Victorian architecture. How about admiring the old-world aesthetic from a horse-drawn carriage? Your feet will give thanks as you wind through streets that ooze charm. Or enjoy a show at the Grand 1894 Opera House. Lastly, you'll certainly want to quench thirst at Tremont House's Rooftop Bar. All hand crafted cocktails are served with a side of romantic Galveston Harbor views. When it comes to leisurely pursuits, Galveston is a city that spends its time on the water. Did you know it's the cruise capital of Texas? Visitors will find a number of commercial cruise ships call this port city home, but it is the smaller charters wherein the most personalized experiences lie. For the deep sea sport angler, the city's harbour offers hundreds of fishing charters to choose from. What can you expect to catch? Within the Galveston Bay you'll find trout and redfish. Further out into the Gulf you'll hook Kingfish, snapper, dorado and sharks. Closer to the oil rigs are ling, amber jack, grouper, sailfish, even tuna. If you're after a trophy catch and are up for a fight, head 160 kilometres off shore for white and blue marlin, tuna, wahoo and dorado. Galveston Harbor offers private yacht excursions with a thrill. For the more adventurous, a number of charters take the ocean view over-the-top with parasailing. Do you have the courage to rise 150 meters over the water? Did you know that there's an incredible reef 160 kilometres off the coast? The Flower Garden Banks are home to spectacular coral reefs. In fact, they contain more coral than reefs found in the Florida Keyes. For those who book a stay at The Villas of the San Luis Resort, can be whisked from the airport via limousine or luxury helicopter. It simply doesn't get more VIP than that. Again, San Luis Resort patrons have the exclusive opportunity to indulge in a spectacular evening car tour. As the day fades into twilight, take in the views afforded by Galveston's Seawall Boulevard from the cabin of a Bentley. 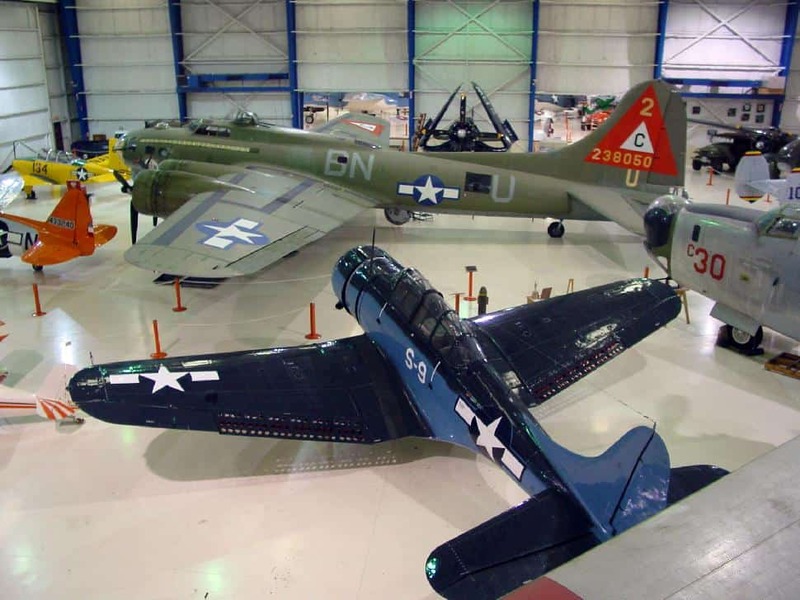 For one of the city's most unique adventures, the Lone Star Flight Museum offers a once-in-a-lifetime experience. Climb into the cockpit of one of its legendary "wairbird" planes. These include a T-6 Texan, PT-17 Stearman and T-41 Mescalero. We hear the views are fantastic. Peckish visitors will delight in Galveston's culinary landscape. This is the ultimate surf n'turf menu. Fresh fish pulled from the Gulf greet Texan beef. (We're salivating at the thought.) 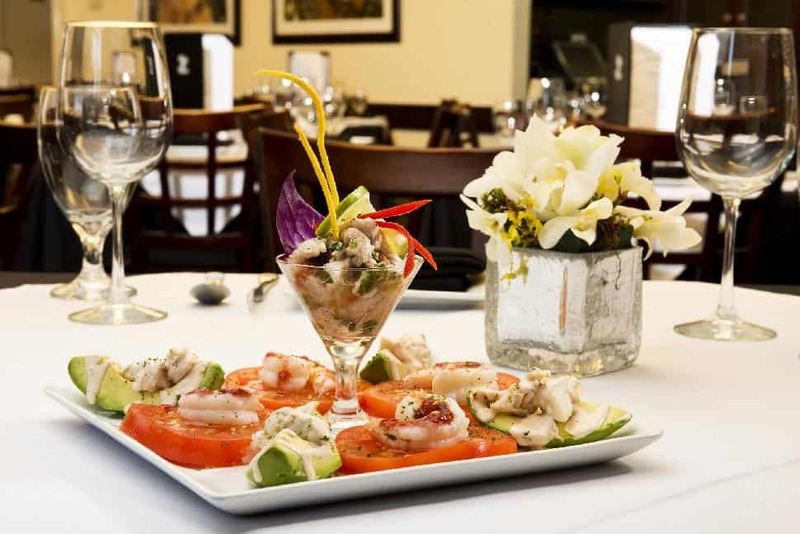 Whether visitors are craving flakey fish or succulent strip sirloin, local restaurants are creatively serving up both. 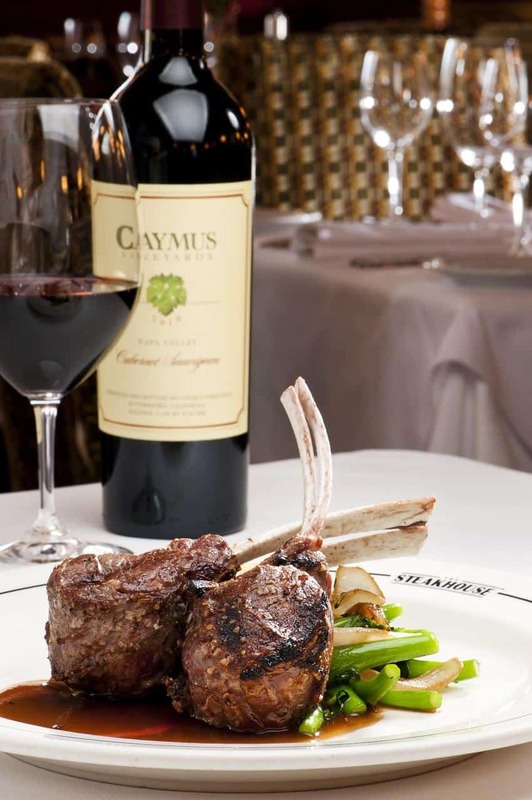 For those with a discerning palate for steak, The Steakhouse is renowned for its menu and selection. The Steakhouse has been showered with both local and national accolades for its USDA Midwest grain-fed beef, as well as its pairing wine list. They also serve live Maine lobster and a number of sport fish from the waters enveloping Galveston. It's also the type of place you'll want to lounge in. Hand-crafted mahogany woodwork and tufted leather accents lend to The Steakhouse's warm ambiance. For more eclectic fare, Rudy & Paco offers steak and seafood with a Central American spin. This restaurant boasts a spot on OpenTable's Top 100 Best Restaurants in America. Which dishes can diners expect to sample? How about Atun a la Parilla, grilled ahi tuna drizzled with cognac mustard sauce or Filete de Pargo Parilla, a grilled gulf red snapper paired with cilantro cream. Prepare your taste buds to start rapid firing! We love the 1920s decor that creates a luxurious classical atmosphere; it pairs perfectly with its neighbour, the Grand 1894 Opera House. 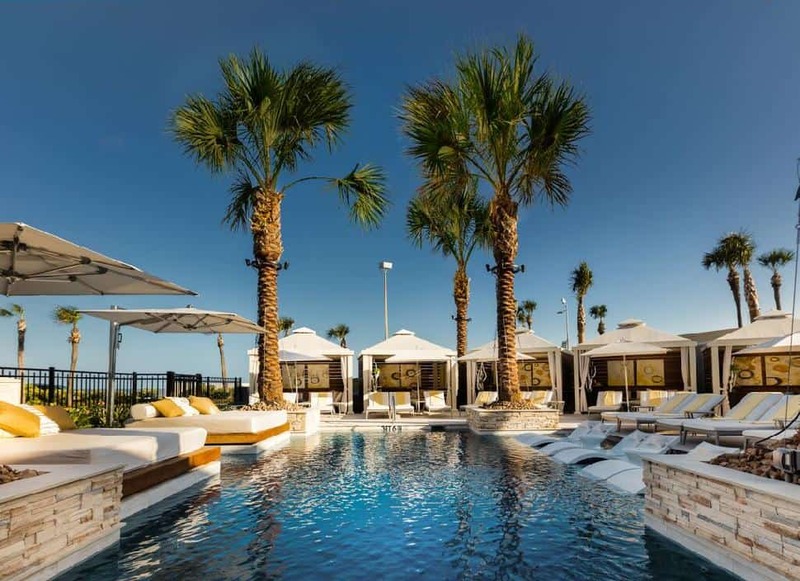 Options abound for luxe accommodation in Galveston. 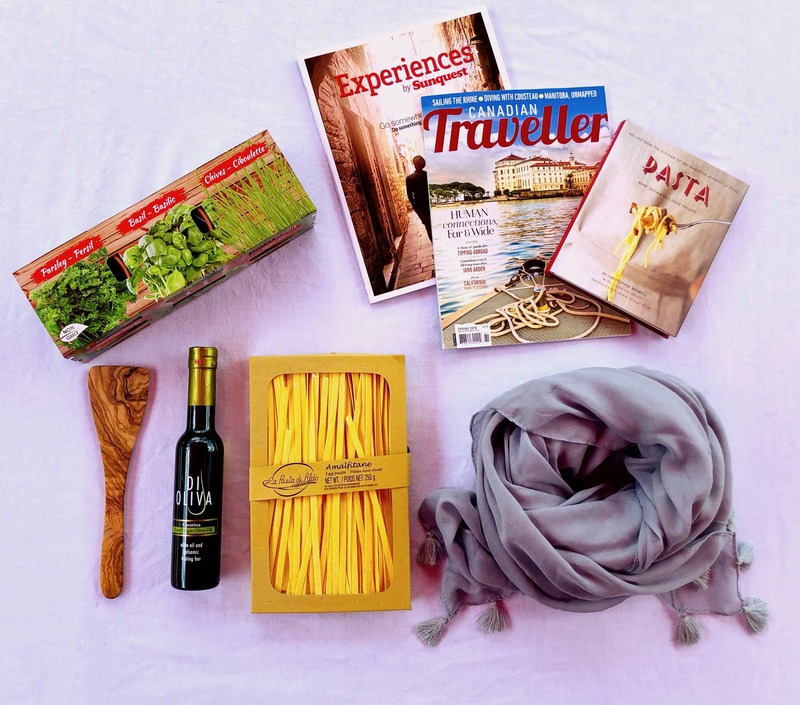 Travelling with the extended family and the pets? If you need a large space, consider renting an entire home. There are plenty in the area with high end furnishings and finishes. You'll love sipping coffee on a beachfront balcony. Find your perfect fit at Sand 'N Sea Vacation Rentals and Ryson Realty. Although Galveston has the expected high end hotel brands, the San Luis Resort is the jewel of the city's golden crown. Offering helicopter transport for guests of their Villas, it hardly comes as a surprise that it attracts a celebrity clientele. Make like Hollywood royalty and enjoy a massage or indulge in a hydrotherapy bath. If the services are fit for Jennifer Lopez and ABC Bachelorette Kaitlyn Bristowe and her beau Shawn Booth, they're good for us too. Visitors rave about elegant suites with ocean views and in-room pampering. All this amid cool, cream marble and elegant, Italian villa-inspired furnishings. 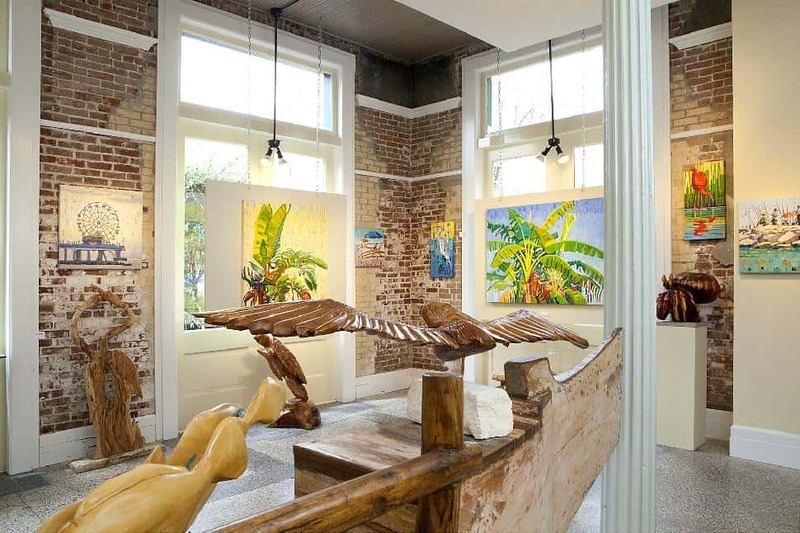 Galveston Island's Strand district is steeped in history. 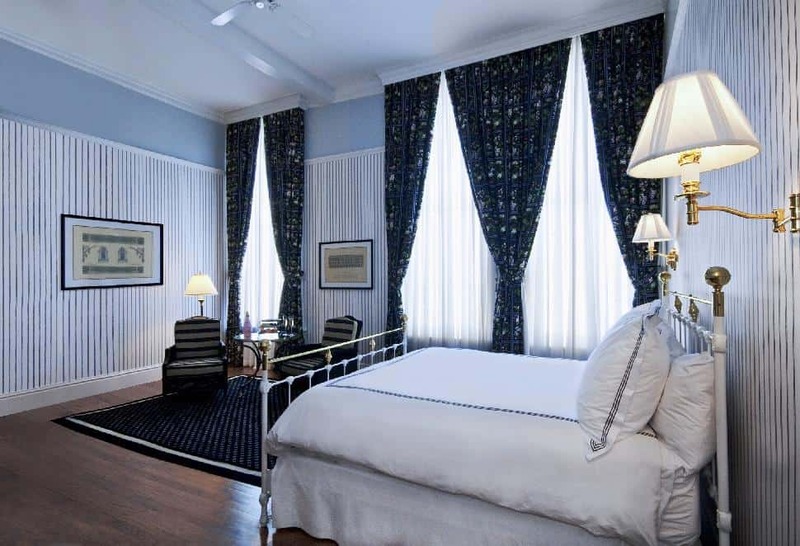 Sleep among 19th century charm at The Tremont House, located at the district's beating heart. Sip cocktails at the romantically named Toujouse Bar, which dates back to the 1870s. Not only will guests enjoy exceptional service and a dreamy sleep, but the interior is nothing short of stunning. Elegant decor is characterized by black, white, grey and green palettes, and Calacatta marble. Explore the Tremont House's four-storey atrium lobby, grand ballrooms and rooftop bar. It's just the type of hotel one would imagine being struck with a spark of inspiration in. 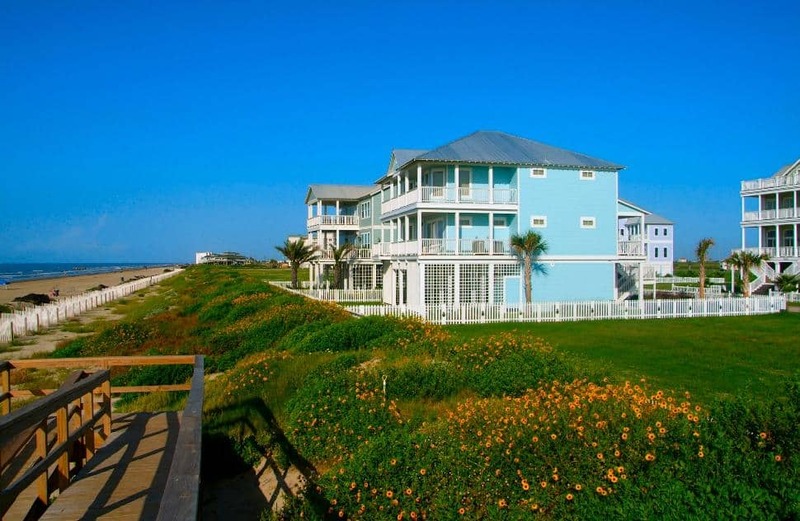 Ready to plan your Galveston getaway?